Mr. Olympia 2018 is set to take place September Friday 14th & 15th at 10 pm ET, 7 pm PT. Olympia is the biggest event of bodybuilding if you don’t know, this is the ‘Super Bowl of Bodybuilding,’ and it crowns the fittest physiques on the planet. Seven times Olympia Phil Heath will look to defend his crown of Mr. Olympia at the Las Vegas Convention Center this weekend. Heath is currently open as a favorite and no doubt after last year’s impressive display. He eliminated his weak spots and transformed his physique to Olympia stage ready. Phil Heath will face some serious competition from other top-notch bodybuilders, such as Dexter “The Blade” Jackson and Mamdouh “Big Ramy” Elssbiay when a show gets underway this Friday. If Phil Heath comes out victorious, he’ll become the third person on the planet to tie a record with eight-time champions, Ronnie Coleman and Lee Haney. 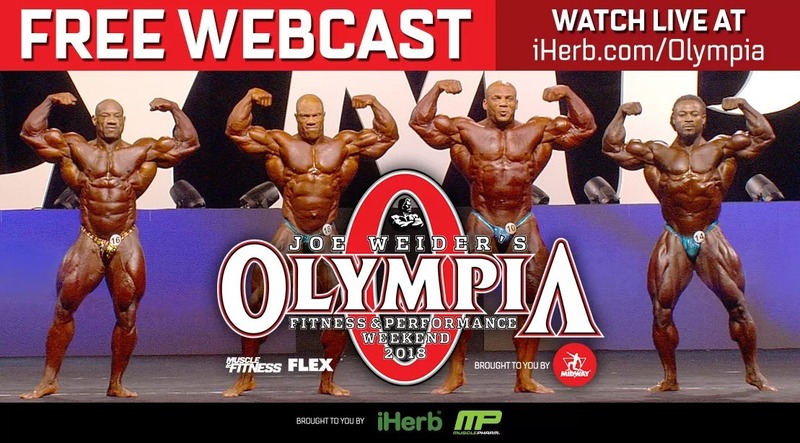 If you feel like your busy schedule interfere your traveling to Las Vegas, no worries, iherb.com is covering 2018 Mr. Olympia live stream for free starting from tonight. So get your self-ready for this fantastic event and watch free by sitting from your home couch. More like “here’s how not to watch mr.o live” by watching iherb stream . . I herb is the worst streaming ever! Go back to amazon!